Port Kembla Coal Terminal workers paid tribute to truck driver Mark Roberts. 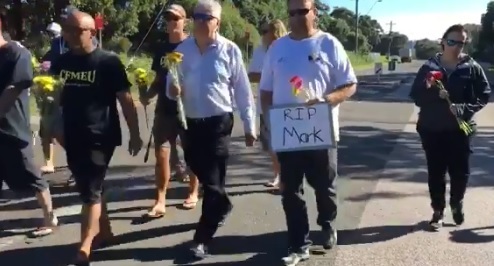 PORT Kembla Coal Terminal union workers shared a minute's silence and laid flowers on a padlocked gate to honour the life of their colleague truck driver Mark Robert. Mr Roberts, a father of two who lived in Orange but worked in the Illawarra, died just days after his lower leg was partially amputated in a workplace incident at the Port Kembla Coal Terminal. 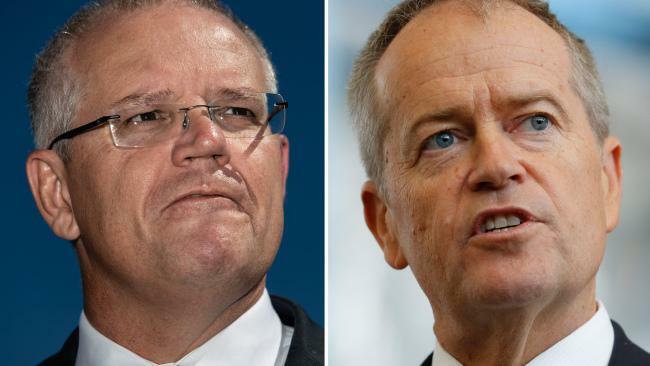 The Sydney Morning Herald reported that Mark was dumping a load of coal into the chute and got out of his truck last Thursday when the truck started to roll forward. The media report said a SafeWork NSW spokeswoman said preliminary inquiries suggested "the 49-year-old's leg became trapped beneath the wheels of the truck, causing a large arterial bleed, after he tried to re-enter the cabin when it began to move". South Coast Labour Council secretary Arthur Rorris told the Sydney Morning Herald that Mr Roberts' death was "dreadful" and they were hoping he would pull through but it was "devasting for everyone to hear the news". He said the Port Kembla Coal Terminal workers feelings were "one of profound sadness and their first thoughts are with Mark's family." Warilla-Lake South senior rugby league football club secretary Sharon Clark said the team was devastated to learn of Mr Roberts' accident and death. She said he was a very big part of the club and a "fun-loving beautiful man". She told the paper: "Mark brought a smile to everyone's face and he was a pleasure to be around. Members have taken this loss hard. There are many in our club community and people in other clubs who are in disbelief this has happened." A tribute match will be played in Mr Roberts' honour next month.